Emily Giambalvo ’18 tells the stories beyond the game score. When Emily started classes at Georgia, she thought she would work in data analytics, but after attending an information session for The Red & Black, she discovered journalism combined her myriad interests. 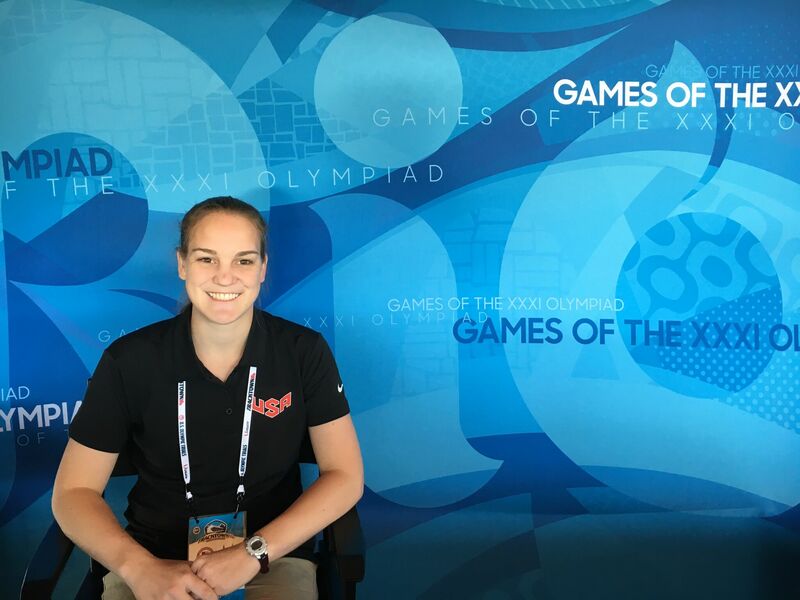 The Ramsey Scholar and McGill Fellow covered the Paralympics for the Associated Press through Grady Sports; and she traveled to South Korea to cover the Winter Olympics for TeamUSA.org. After graduation, Emily will intern with The Washington Post, where she will write feature stories and cover sports. Growing up, Emily Giambalvo, a senior management information systems major, thought that she would chase hurricanes as a meteorologist, design roller coasters at Disney World or fight terrorism with the CIA. One thing she was certain about is that she wanted to attend college at the University of Georgia, and by the time she started classes, her mind was set on working with data. Then, after attending an interest meeting for The Red & Black student newspaper, she discovered that a career in journalism was the perfect way to follow all of her curiosities. She wrote a few stories during her freshman year, but at the time, the Bernard Ramsey Scholar had her eyes set on Russia. Her desire to journey abroad came from her Russian high school gymnastics coach. The Ramsey Scholarship offers students a study abroad grant, and that, combined with a scholarship from the Russian department allowed Emily to study abroad the summer after her freshman year. During her sophomore year, Emily started taking classes in the Grady Sports program with professor Vicki Michaelis, the John Huland Carmical Chair in Sports Journalism & Society. Emily says their encounter has been instrumental in shaping her career path. Michaelis has since become a mentor to the budding journalist. When Emily purchased that copy of USA Today, she had no idea that she would go to the Olympics, too. After her sophomore year, she covered Olympic trials for USA Track & Field. 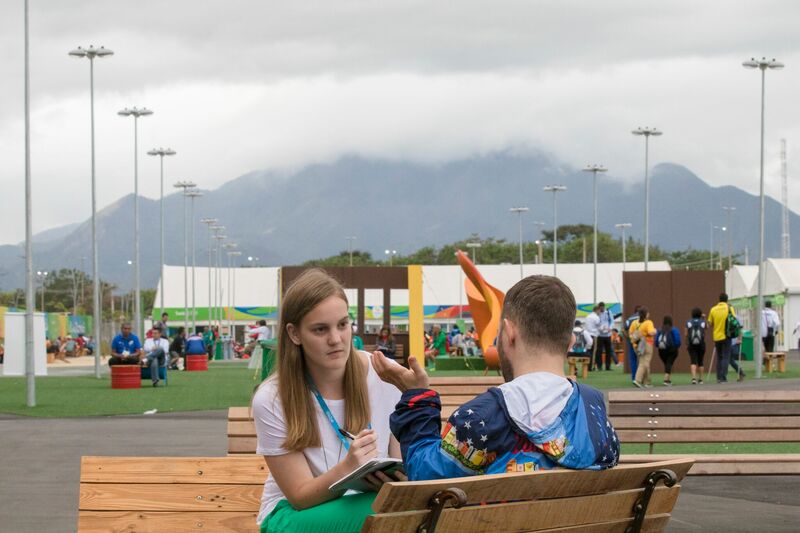 Emily conducted interviews with athletes at the Paralympics in Rio de Janeiro. 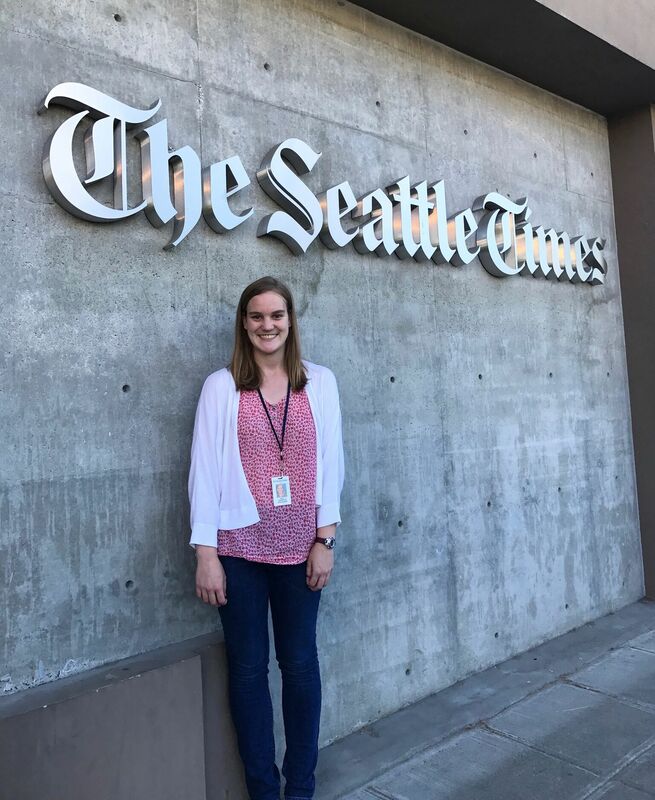 Emily participated in a summer internship at The Seattle Times. 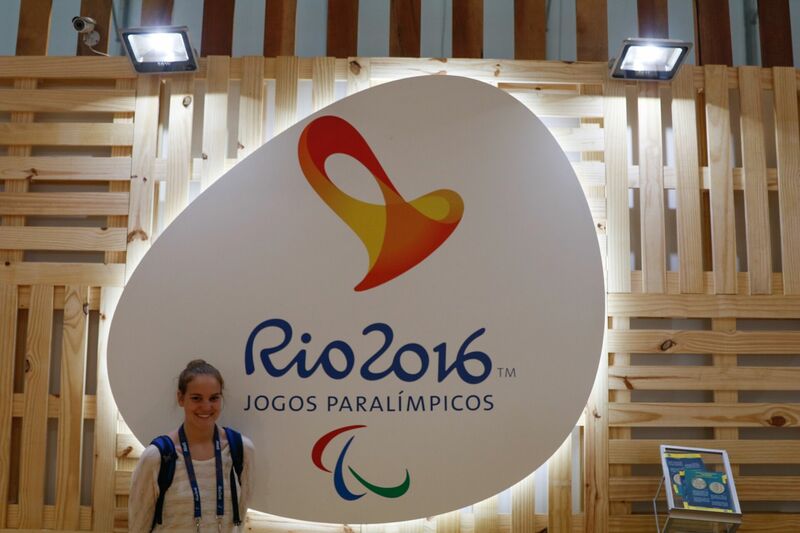 During her junior year, Emily was one of nine Grady students selected to cover the Paralympics in Rio de Janeiro for the Associated Press. While in Rio, Emily planned to write a simple article about a homeless man who became a Paralympic table tennis player. But, as the story unfolded, it became a heartwarming tale about using sports as an escape from an abusive family. The story was posted to the AP website and picked up by The New York Times. After the Olympics, the wins kept coming. She wrote an article for Grady Sports about a cross country team of refugee athletes that was picked up by ESPN.com. She interned with The Seattle Times, where she wrote 51 articles covering high school, professional and other sports. And she eventually won the Associated Press Sports Editors Student Sports Journalism Contest. Emily, who is also a McGill Fellow, is traveling to South Korea to cover the Winter Olympics for TeamUSA.org, which involves becoming an expert in the who’s who of winter sports—a different experience than writing about the Rose Bowl or the National Championship. After graduation, Emily will intern with The Washington Post, where she will write feature stories and cover sports. She calls the opportunity to intern at the paper surreal, and says that she will forever be grateful that her dream school awarded her such wonderful opportunities inside and outside of the classroom. Update: Emily started as a sports editor at The Red & Black after graduation.